....Briefly outlined here, are 9 different avenues of influence that can possibly affect your child's overall development. Positive or negative views and behaviour can materialize from a multitude of sources in your child's environment. The negative influence of television is quite obvious to most parents, and the need for scrutiny is apparent. Negative influence of media stem from many forms, some not as transparent and often more damaging. Here are some of my "Views" and "Personal Opinions" on the avenues of influence that may affect your child's life. Many child developmental studies conclude, up to 50% of your child's inherited genetics can play a part in their overall development. They claim personality traits are often hereditary, although many experts often dispute the actual percentages. I truly believe certain characteristics of a child's personality can be inherently acquired; however, children are not born with negative attitudes. Their attitudes are only acquired through their perceptions of reality and how they are raised. 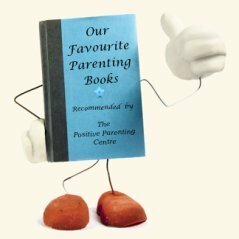 This exerted pressure has a huge influence in adjusting your child's attitudes, values and behaviour in order to conform to the expectations of a friend or a particular fixed group. A very powerful influence to say the least. Peer pressure will more than likely have the most negative influence on your child's demeanor and general attitude. The understanding and loyalty of a sound principle and core value system will be your child's prime defense against poor judgment and persuasive temptations. The educational system and its teachers are immense avenues of influence in your child's life. I have enormous respect and high praise for good teachers that inspire and motivate students to reach their full potential, role model good character and treat all students with equal respect. This necessitates a need to be fully committed, positive, patient, supportive, confident, respectful, creative and inspiring. "It is a tall order"
However, it needs to be said… as in all leadership professions, attributes and performance levels do not always meet such stringent expectations. If gone unchecked, the harmful and negative influence can be irreversible. My hat goes off to most people involved in coaching organized youth sports. The life lessons and valuable skills taught go well beyond the playing field. Goal setting, perseverance and striving for excellence are exceptional skills to guide children through all life's endeavours. Good sportsmanship, respect, courage, commitment, co-operation, responsibility, and integrity are a few of many character attributes acquired through "Good Coaching." "Good"... is the operative word here. Unfortunately, for a multitude of reasons, there are people coaching children with less than adequate qualifications and demonstrate lack of integrity. Some coaches forget they're in little league, or have personal agendas to win at any cost. Children are used as pawns, mistreated and furnished with negative feedback. These avenues of influence can affect a child's self esteem, promote a negative attitude and rob them of all the positive advantages of playing youth sports. If your child is too young to speak for themselves, you must represent them in a calm, rational and respectful manner. But! Much of today's media content is of a negative or violent nature that can potentially lead to aggressive behaviour and desensitization to real life violence. Fabricated glamorization of TV personalities, super models, and a host of other glorified personalities, can send mixed, unhealthy and detrimental messages, leading to insecurities and low self esteem in your child. In most cases this avenue of information is invaluable and indispensable in today's society…. The downside, is discerning the credibility of such vast information, erroneous or inaccurate knowledge can misinform your child and provide misguidance on influential issues. However, used unfavourably can have adverse effects and negative influence on your child, feeding personal insecurities and promoting cyber bullying; this sadly, is increasing child suicide rates to alarming numbers. However, the violent and sexist content in much of the games of today can provide a very negative influence. In addition, the addictive nature of many games can lead to a physically inactive lifestyle. Daycare providers, nurseries, nannies, sitters and a host of other caregivers are huge avenues of influence over your child. Often children spend more time with a caregiver than they do with their parents. Fostering a sound core value system, building character in your children and encouraging strong family relationships. 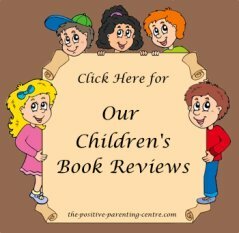 Return to: "Good Parenting"..from.."Avenues of Influence"